01 Sep 2017 / 10:36 H.
MIAMI: A US judge agreed Thursday to extradite former Panamanian president Ricardo Martinelli to face corruption and other charges in his country. 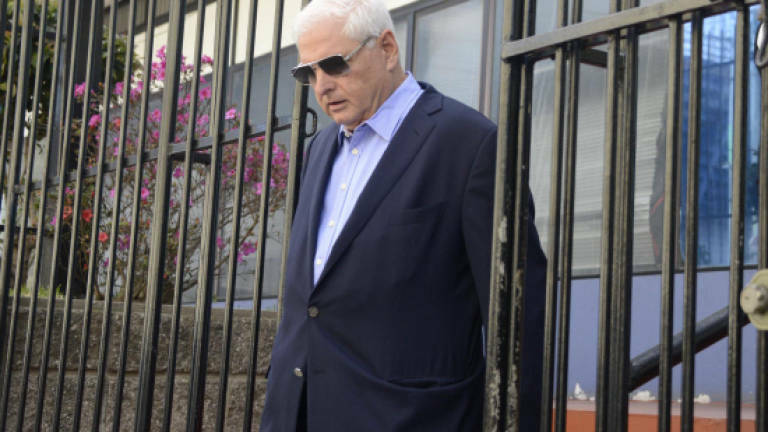 US District Court Judge Edwin Torres said Panama had demonstrated probable cause against Martinelli, who ruled from 2009 to 2014. Martinelli has lived in Miami since January 2015. He left Panama days before the Supreme Court there launched a corruption investigation against him. He was detained in Miami on June 12, accused of graft and spying on political foes at home. Panama filed an extradition request last year. Panama's Supreme Court alleged that Martinelli used public funds to illegally spy on telephone calls and emails of more than 150 prominent opponents. Martinelli, a supermarket tycoon, denies the accusations, saying they are politically motivated. After the judge's ruling, a spokesman for the ex-president, Luis Eduardo Camacho, told Panamanian TV channel Telemetro that Martinelli would appeal. But his Miami lawyers did not immediately confirm this. Allegations against the former president include accusations he helped embezzle US$45 million (RM192.1 million) from a government school lunch program, as well as other cases of extortion, bribe-taking, misappropriation of public funds and abuse of power.